What a dreary day. Fog, rain, blah. At least it isn't snowing! I'd be happy to not see another snowflake until next November, or December if I'm lucky. Thanks for all your great comments yesterday regarding our BYOB adventure. If you are local and have the chance, check out Meyer's Grill in Williamsburg. It is definitely an experience. And stay tuned - Bavarian Chocolate Torte recipe will be coming for all of you that asked! So, this next meal is one we have often, as the husband is obsessed with barbecue sauce. Let me clarify, he's obsessed with Sweet Baby Ray's BBQ sauce. I sometimes make my own, which is much healthier, and I believe just as good, but he loves this kind, and that is what we had on hand, so that is what I used. 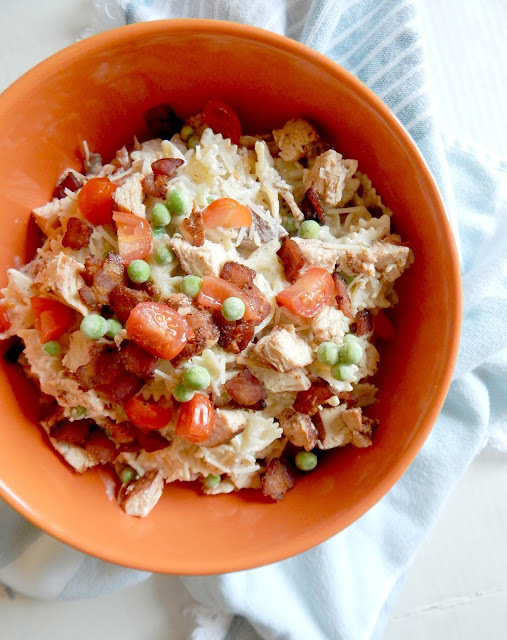 This chicken can sit in a plastic food storage bag up to a day prior and just thrown in the oven when you get home from work, so very easy! The roasted broccoli is something we just started having, as who doesn't like a little crunch to their veggies? I personally, don't like them when they are all mushy, and you can almost bet all their nutritional value has been sucked out of them. Rub chicken breasts with Lawry's. 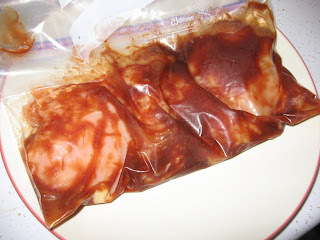 Place in food storage bag and pour in desired amount of bbq sauce. Let set in fridge for up to a day. When ready to cook, cover baking sheet with tin foil, and place cooking rack on the sheet. Lay chicken breasts on cooking rack and bake at 400 degrees for 25-30 min. Depending on thickness of chicken it may take shorter or longer. Cover another baking sheet with tin foil. Place broccoli in bowl and mix with garlic, parmesan cheese, salt and pepper. When coated with seasonings, drizzle with olive oil. 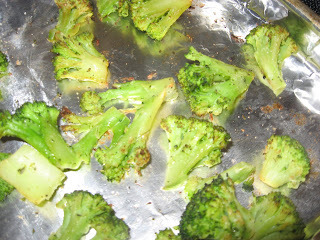 Spread on baking sheet and bake for 10-15 min at 400 degrees, or until broccoli is just turning slightly brown and crispy. You may want to turn the florets halfway through to cook both sides. So a fairly healthy and yummy meal! One of my favorite meals! 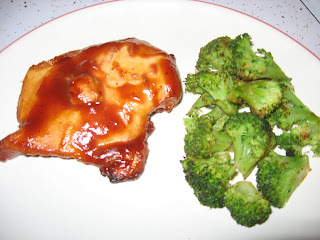 You can't go wrong with BBQ chicken and broccoli. My favorite BBQ sauce is a toss up between Baby Ray's and Kraft's Honey BBQ. Mmmm! I like to do my BBQ chicken in the crockpot all day! Yum this looks good! We're going to Iowa in a couple weekends! It's going to be my first time in that state! Woo!! My current favorite BBQ sauce is the one I used on the steaks I made a few posts ago. SO good - Jack Daniels sauce. I want roasted broccoli for dinner! That looks great! And finally, I know your name! I couldn't find your first name anywhere on your blog so I just stuck with S&S for my post! Mmmm... BBQ chicken. I don't have a favorite but do like Jack Daniels. And anything that tastes like honey! This seem a very healthy meal, looks good. We're going to a water park lake resort place in Storm Lake for a friend's wedding! Is that by you, ever heard of it? hehe I know I'm just a travel nerd and love imaginary checks off state lists. I'd love to hit all 50 one day! I've got the entire east coast in a few states and the south out to Arizona. It doesn't get easier than that - that's the way I like it!! I really love roasted broccoli. I actually pour it frozen on to a baking sheet, drizzle with oil and bake at 400 for about 30 minutes. Crispy roasted perfection. Christina...no, Storm Lake is way out in Western IA and I'm on the east side, but I've been there once, not to the resort though. I hope you have a good time!